Rega have been a cornerstone of the British HiFi industry for over 40 years steadily building up a history of great turntables starting with the original Rega Planar2 in 1975. Today Rega produce over 2000 Turntables every month across the range and have a deck to suit the demanding audiophile whatever the budget. With the resurgence in vinyl over the last few years Rega have been ideally placed to demonstrate why the sound quality and ease of use now offered by modern decks can really refresh a love of music and the process of playing and enjoying high quality music in the home. The range starts with the very popular P1 which for the last few years has been filling the gap for a high quality affordable turntable for those dipping their toes into analogue replay for the first time or perhaps revisiting those cherished records on a modern deck. The P3 is the modern equivalent of the classic Planar 3 deck which has been at the heart of many vinyl based systems for decades. A Rega P3 with their Elex-R integrated amplifier would be a great way to experience why vinyl has captured the imagination of a new generation of music lovers. The next model in the range - the P6 - builds on the strengths of the P3 to take the performance level even higher. 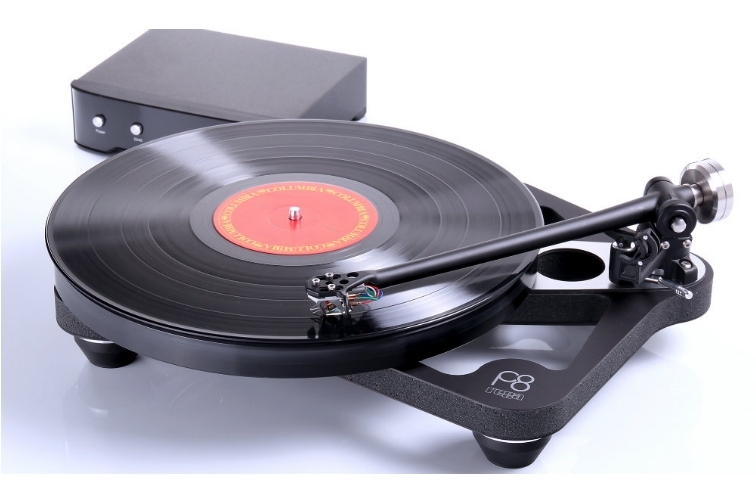 Fitted as standard with the Rega offboard turntable power supply (a retrofittable option on the P3) along with improvements to the component parts of the deck lifts the performance to the top of the 'classical' Rega designs. Going beyond the P6 introduces the latest 'skeleton' designs to the stable. The P8 represents probably the biggest step forward in the evolution of Regas turntable design philosophies to date. Since the very early days, Rega has always researched methods of producing light but stiff and rigid plinths. The technology is simple: unwanted noise at microscopic levels is developed by the turntable motor and main bearing. The current increase in interest in turntables has allowed Rega to research and develop higher technology structures for the customer who is happy to pay a little more for higher sound quality. This translates to significant improvement to all areas of the design philosophy throughout the deck. The final model in the Rega range is their RP10. This includes an expensive and precisely produced diamond cut ceramic platter and the ultimate expression of Regas award winning tonearm design - the RB2000. The manufacturing tolerances are so tight that no adhesive is used at any point throughout the construction. The RP10 also includes a bespoke power supply design individually tuned to the 24v motor in each deck. This is without doubt the finest turntable Rega have produced in four decades of manufacturing experience. Whichever Rega deck fits your needs and budget they all share Regas philosophy of offering as much sound quality as possible at each particular level, cutting out any extraneous features and focused fundamentally on the music above all. We will be delighted to share our passion for vinyl with you at our showroom in Hampton Wick where we have all of Regas turntables available for demonstration by appointment. Come along and hear exactly why Vinyl and Rega still rock after all these years.